From an artistic point of view, I can say without hesitation that I was riveted by ZDT from beginning to end. Kathryn Bigelow is clearly one of our most talented American directors, particularly in her ability to construct a film with a palpable sense of documentary realism. In so many ways she, along with screenwriter Mark Boal, and her entire filmmaking team had me in the palm of their collective hand. Which is why I also found ZDT to be a morally reprehensible piece of cinematic propaganda. My experience of this film, among other things, was a profound reminder that movies have immense power to manipulate emotions and shape attitudes. I will readily admit that I found myself thoroughly caught up in the intensity of the CIA’s quest (embodied by character of the passionately driven agent “Maya”) to find and kill Usama Bin Laden. What can I say? For two and half hours, the film worked its magic on me. But when it was over, all I felt was dirty and ashamed. Sickened, actually, that I allowed myself to be seduced by what amounted to an insidious, if deeply sophisticated, revenge fantasy. This is how the movie is framed from the outset: we are told we are watching a movie based on actual events, constructed from information gained from those who were there. We hear the very real voices of American citizens as they are being burned alive. Then we watch the “real-life” account of how the man responsible for their deaths was hunted down and killed by the CIA. Listening to those terrified voices unsettled me to my core – but it was only after the movie was over that I realized how obscene their usage actually was. Why did the filmmakers choose to play these recordings? After all, aren’t the tragic events of 9/11 well-known to everyone in the world? If the filmmakers were really interested in making a dispassionate, non-fiction account of the hunt for Bin Laden, wouldn’t it have made more sense to start with the beginning of the hunt itself? Indeed, Bigelow has been quoted as saying she used “a journalistic approach” to making this film and that “it doesn’t have an agenda, and it doesn’t judge.” This, of course, is hogwash. If Bigelow and Boal were interested in presenting a “values-free” docudrama, they certainly wouldn’t have manipulated viewers with the voices of civilians being burned alive. After hearing the terrified voices of actual victims, how could we not cheer the CIA on as it uses any means necessary to find and kill Bin Laden? Much has been written about the infamous scene in which one tortured Al-Qaeda operative gives up the name of Bin Laden’s courier after having been beaten, waterboarded, sexually humiliated and stuffed into a tiny wooden box. The inclusion of this scene – along with numerous references to information gained from tortured detainees – has been rightly condemned by many who point out it has already been conclusively determined that the information that ultimately led to Bin Laden’s execution was not gained through the use of torture. By including these scenes, ZDT conveys the incorrect – and dangerous – impression that torture “works.” It’s a critical point to which I have nothing to add except to refer you to Glenn Greenwald’s excellent pieces on the subject. (The) new and odd rub in the case of Zero Dark Thirty is that the product of this privileged access is not just-the-facts journalism but a feature film that merges fact and fiction. An already problematic practice—giving special access to vetted journalists—is now deployed for the larger goal of creating cinematic myths that are favorable to the sponsoring entity (in the case of Zero Dark Thirty, the CIA). If the access that Boal and Bigelow received was in addition to access that nonfiction writers and documentarians received, I would be a bit less troubled, because at least the quotes in history’s first draft would be reliable, and that means a lot. But as it stands, we’re getting the myth of history before getting the actual history. In other words, no matter how unsavory the protagonists behavior might be, no matter how “gritty” and “journalistic” the style, this is the CIA’s movie through and through. Other than the last scene in which the bin Laden house is raided, all of the hard-core, bloody violence is carried out by Muslims, with Americans as the victims. The CIA heroine dines at the Islamabad Marriott when it is suddenly blown up; she is shot at outside of a US embassy in Pakistan; she sits on the floor, devastated, after hearing that seven CIA agents, including one of her friends, a “mother of three”, has been killed by an Al Qaeda double-agent suicide-bomber at a CIA base in Afghanistan … Nobody is ever heard talking about the civilian-destroying violence brought to the world by the US. The CIA and the US government are the Good Guys, the innocent targets of terrorist violence, the courageous warriors seeking justice for the 9/11 victims. Muslims and Arabs are the dastardly villains, attacking and killing without motive (other than the one provided by Bloomberg) and without scruples. Almost all Hollywood action films end with the good guys vanquishing the big, bad villain – so that the audience can leave feeling good about the world and themselves – and this is exactly the script to which this film adheres. And in the end, that is what makes the technical and narrative brilliance of this film all the more pernicious. It creates the illusion of authenticity and truth when what we’re really watching is the CIA’s truth. One in which Bin Laden was never, once upon a time, an ally of the United States government. One in which “heroes” commit war crimes in secret locations in the furtherance of extra-judicial assassination. One that utterly ignores the realities of what the CIA’s civilian-destroying violence has wrought. More than anything else, this is why I felt so very dirty after allowing myself to be entertained – and at times even moved – by Zero Dark Thirty. This entry was posted in Afghanistan, Islam, Movies, Pakistan, Politics, Terrorism, War on January 21, 2013 by Rabbi Brant Rosen. I had very much the same reaction — except I was not all that impressed with Bigelow’s cinematic skill. We didn’t really get a sense of the detailed drudgery of the day-to-day work of an analyst like Maya and we didn’t get any real sense of any of the characters. We just accept the fact that they were motivated by unquestioning “patriotism” and lust for vengeance. This lack of plot and character development are major film-making flaws, but these flaws do serve the “greater” goal of emotionally manipulating us into accepting the morality of this immoral “patriotism” and lust for vengeance. It will be a great shame if this film wins awards. Thank you so much for so articulately and powerfully conveying my views and reactions in relation to this film. I have had some spirited and heated discussions, even with close friends whose general political views are similar to mine, about this film. Most of them were completely swayed by the film and insisted that it did not justify torture. I, too, was swept up by the film, yet disturbed by it at the same time. I take issue with Greenwald’s point about the film not mentioning the evil that the U.S. is perpetrating, as that is not what the film was about…however, I am outraged by the factually incorrect portrayal of our finding Bin Laden somehow as a result of torture. My reading on this subject contradicts this position, which we know the CIA wants Americans to believe, and which the Bush administration apologists all went wild with after Bin Laden was killed. Insidious? Perhaps. But it’s a movie. It purports to be taken from “actual events” – that’s how most ghost stories begin. Bigelow made a MOVIE, it is our responsibility as individuals to determine whether or not it is factual. I find myself having quite a different reaction to Zero Dark Thirty than most of its critics–including you and Glen Greenwald. Hearing the 911 tape of 9/11 seemed like an appropriate set-up to describe the story of a CIA agent maniacally focused on killing Osama Bin Laden. The rest of the movie, including the torture scenes, was obviously depicted from the point of view of the CIA–almost claustrophobically. And as for those horrendous and disgusting scenes of torture, they were part and parcel of the CIA point-of-view–and everyone in the movie was complicit. Whether or not the film maker wanted us to believe that the torture was effective, it did serve to show how morally obscene our fight against terrorism had become–as well as being an effective plot device on a story level. 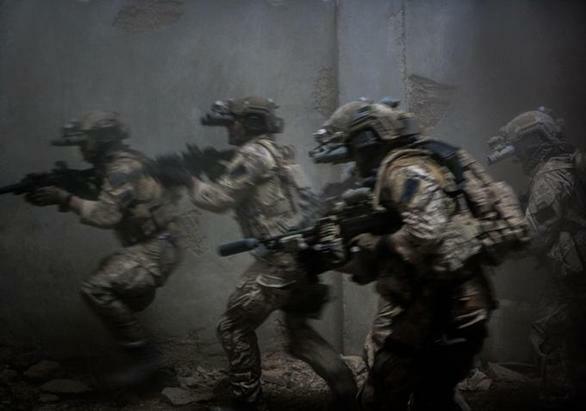 Overall, what the movie did for me–and did brilliantly–was to show how far into the dark night of the soul (Zero Dark Thirty) this country has fallen in its obsessive lust for revenge and destruction of our “enemies” at all costs. Maya’s tears at the end of the movie, represent, for me, how profoundly diminished many Americans have become from our obsession with terrorism, and they raise the question of where do we go next, now that our b ê te noire has been slain. Do we continue to wallow in hatred and killing or do we try to get our humanity back? The movie seems to hint that any return to decency and compassionate restraint will be a long struggle. We all choose to look at a piece of art in our own way. I’m not saying you and the many critics are wrong in their assessments of Zero Dark Thirty, but I am saying there are other valid and useful ways to view the film. Brant, how lucky you are that you have eyes with which to see beyond the illusions. So many Americans are asleep at the wheel. Now I don’t doubt that you have different opinions between ZDT and the Why We Fight series, because the politics and political situation are different. But as to the basic objections you’ve stated there’s no difference. I was about to leave for a neighborhood ZDT matinee performance when I opened your email post, this afternoon. The contrast with celebration of MLK Day in DC and the President’s Inaugural speech which had brought tears to my eyes this morning, persuaded me that I didn’t need another dose of violence and inhumanity. I prefer to remember an uplifting performance at Marin Symphony yesterday afternoon, still feeling Tschaikovsky’s Pathetique chords in my soul. What a strange paradox is the “human” being. You mention in passing something that is so common as to usually go without notice in movies – the vendetta as authorization for behavior that would be denounced by any moral standard. It is the standard setup, in ZDT it is 9/11 and torture, but how many many times have we seen the innocent under attack by the maniacal in opening scenes only to have the thrill of “justice” being done hold our attention until the destruction (usually brutal) of the antagonist. There are, I believe, two principle effects of this overused plot device. The first is to allow people to accept things put before their eyes, to acclimate them, to what they would otherwise refuse to countenance. The second is to place a low level fear in the general public, such that they see threats everywhere, suspect everyone, believe that only a fool trusts, become cynical in general and yet cannot put a finger on why they have constant anxiety. This effect was brilliantly shown in the movie Crash, featuring characters full of self-righteousness, condemning others, jumping to conclusions and, in general, isolating themselves,. Movies are extremely powerful so one must always keep a certain distance from them and yet to do this while sitting in a dark theater immersed in a story seems to be defeating the very effect for which one goes to a movie. But viewer be warned, there is no movie that is truly safe for all audiences in this regard. In the hands of a talented director, even Hitler was made into a sympathetic character. Just remember the typical scene of a movie audience watching with eyes wide and mouths open. People should protect themselves, not from their neighbors by buying a gun, but from ideas implanted in audiences that go to shows, volunteering their undivided attention for the directors and producers to work on. What you do in your review of ZDT is to put this distancing into practice and we all benefit. I never intended to see this movie. Thanks for your passionate review. Could somebody please enlighten me but was one of the senior CIA at Langley a Muslim? I found the movie a similar standard to Argo I was disappointed Ben affleck had to create a Hollywood chase on the runway which never happened. I am sure bigelow would have to be tempted to follow a similar path but she appeared to avoid that temptation. I have never understood why the us used water boarding . If one is going to use torture one should copy the Japanese who were masters of the Practise. I have not planned to see the film ever because 1) I do not want to give even one miniscule (by the producers’ standards) price of admission in support of it, 2) I am quite sure my usually very healthy blood pressure would be seriously elevated from the beginning to the end. Thanks for confirming both 1 and 2 for me! A thought-provoking and incisive review. Although I haven’t yet seen the movie, I will be watching it with an awareness of the subtltey of what is usually protrayed as “neutral” reporting. Once again, the ubiquitious protrayall of Muslims as terrorists is quite sickening. I wonder what the response would be if Israelis or “Christian” domestic mass-murderers were described or shown in this bigited manner. Secretary of Defense Leon Panetta does not agree that anything has been “conclusively” determined. I’d like you and Cohen to swap jobs for a few news cycles. Much of the recent discussion of the main issues on this blog relate to who is being censored or “muzzled” regarding their views on those issues. That’s why, although it’s some time after the fact, I find Rabbi Rosen’s review of Zero Dark Thirty to be so interesting. For example, I can agree that the inclusion of the 9/11 tapes raises an issue of judgment. I can think of good arguments both for and against running them, and I get that Rabbi Rosen votes against it. But that’s not really what he says. Instead, including them is “obscene,” “morally reprehensible” and “insidious.” Why? Because us little people can’t handle it, can’t process it into a larger context? Note that in this case the question is not about running information that’s false, it’s about running information that’s true. That’s pretty telling. Actually, I have to credit many of the commenters here on this point and the movie as a whole. I may not agree with what is probably their overall viewpoint on world affairs and the Middle East, but that doesn’t matter. Several of them appear to be telling Rabbi Rosen to chill out regarding his view that Zero Dark Thirty is “dangerous,” “pernicious” and all the other adjectives that reek of patronizing concern over how people inform themselves. Thus my kudos go to the commenting community here at the Shalom Rav blog – especially because this post unfortunately seems to be part of a growing pattern. I’m making this comment here after some subsequent posts that show similar tendencies. I commented in the “Four Children” haggadah-concept post on March 24 to the effect that it seemed to be a one-sided call to contemplation meant to ostracize (rather than limit) the citation of anti-Semitism – which I could even understand were Rabbi Rosen to also ask people to contemplate ways in which the anti-Zionist viewpoint also cites its own totems as trump cards. And yet, there are all kinds of antecedents for this sort of thing in American Jewish cultural history. Our collective and noble instinct to get involved and make the world better sometimes has a way of descending into insecurity, censoriousness and a scolding demand that like-minded people pay exactly the same proportion of attention to given matters that we would ourselves. Any examination of how we process concepts like anti-Semitism cannot stop at the water’s edge and exclude other attitudes that are equally (if not, for some of us, more) rooted in how we grew up and matured, and examine how we can perform more constructively in service of our shared goals for universal human dignity. And, to say the least, if a leader of Jewish Voice for Peace like Rabbi Rosen wants to play the “muzzled” card, it would be well if he does not demonstrate the same muzzling instinct himself. Thanks for listening.